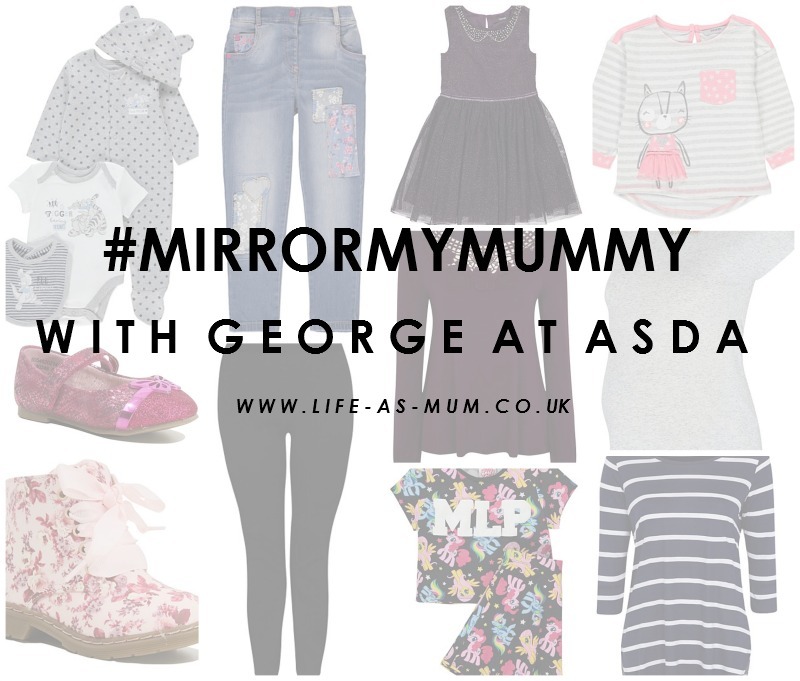 I was recently contacted by the lovely people from George at ASDA to take part in a campaign called #MirrorMyMummy. 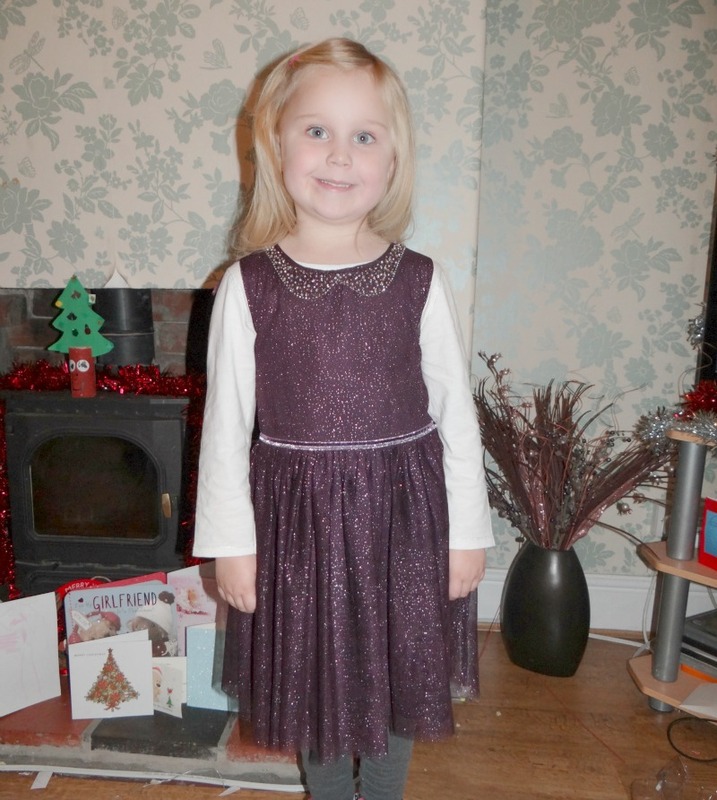 I was given a certain amount of money to spend on some clothes for my girls and myself. George is one of my favourite places to buy clothes as I find the quality of their clothes fantastic for all ages. I found it quite difficult to find some clothes as there is such a big range of beautiful clothes for clothes, baby and womens. 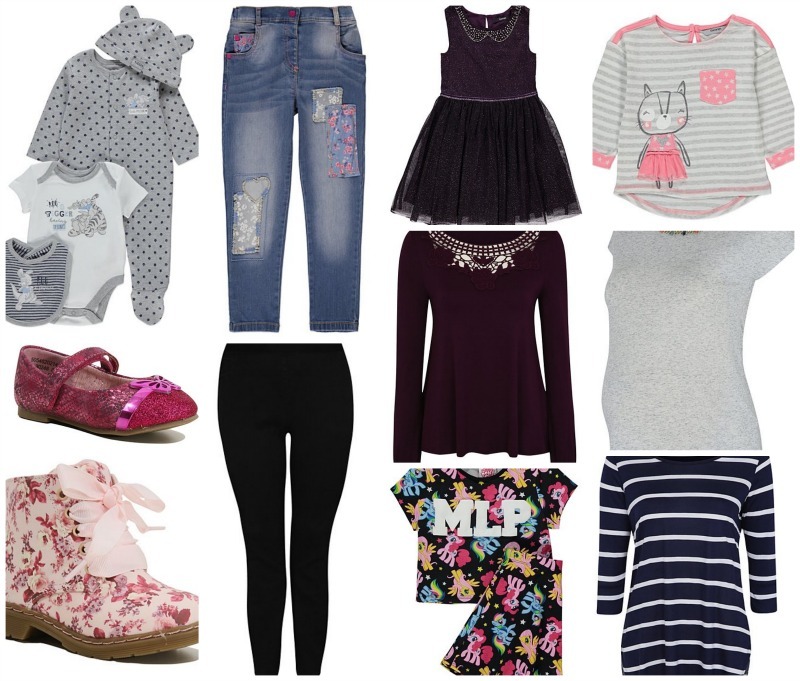 I decided to choose a mixture of clothes and added a few new shoes for the girls also. I thought since I am now expecting Baby #3 I could add something small for Baby and add a couple of maternity clothes from George Maternity Range. There is a wide choice of tops, dresses, trousers and much more. The grey maternity t-shirt has a longer back than the front which is what I liked about it. It also has great detail around the neck of the t-shirt. 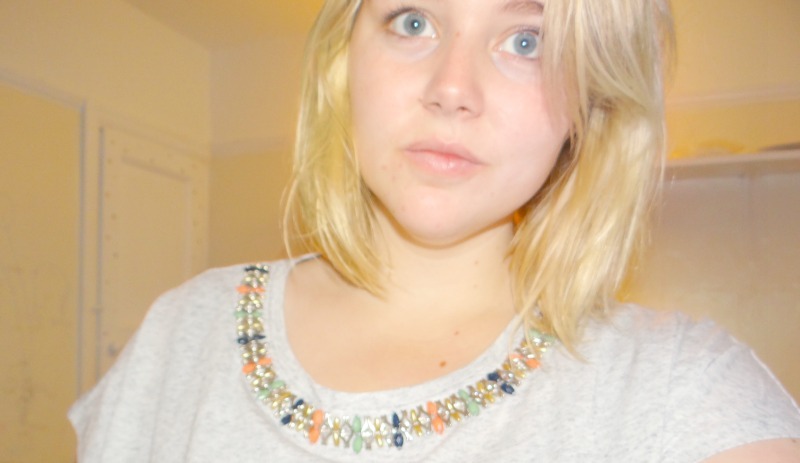 It went perfect with the black jeggings from the plus size range. I also included a tunic striped navy top from the womens range. For the girls there was wide choice in the girls range. I think with the style of clothing, the quality and how long their clothes last for I do think George give a fair price for their clothing. They are not too cheap and not too expensive. They are just affordable and that is what I like about George. The sizes are true to size for my girls and they absolutely loved their outfits and new shoes. If you are interested in buying any of the above or just checking out their website, you can visit George at ASDA here. write this post and review. All words and opinions are my own, as always.